Specimens (aka ZEDs) are the main antagonists of Killing Floor and Killing Floor 2. While they are widely referred to as zombies they are in fact failed experimental clones created by Horzine Biotech, a biotechnology company in London, England. It is not necessarily wrong to label them as zombies, however, as they behave in such a fashion. There are total of 20 different specimens in Killing Floor 2 where 3 of them are being elite variants and 4 - bosses. During wave time specimens spawn randomly at pre-determined locations near to the players, providing there is something obscuring the view between all players and the spawn. Such as Cysts, Alpha Clots, Slashers, Stalkers, Gorefasts and Crawlers are the most common enemies in the game. They mainly serve the purpose of cannon fodder while more advanced and powerful ZEDs making their way to survivors. 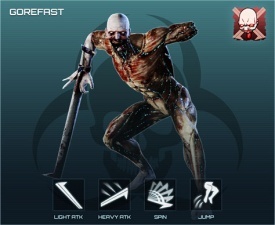 The health of these ZEDs does not scale with the game difficulty and player count, however on harder difficulties they are likely to sprint more frequently and execute more powerful attacks and moves. 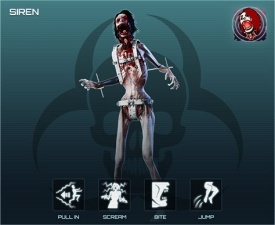 Players should never underestimate these ZEDs, while each of these is being weak on its own, large groups they spawn in might easily overwhelm unawared player resulting in quick death, especially considering that these ZEDs are notorious of spawning in most unexpected locations such as roofs, vents or manholes. Like Bloat, Siren, E.D.A.R or Husk are the main enemy strike force. These ZEDs are decently tough, posses special abilities as well as ranged attacks. Health and the variety of attacks to execute of these ZEDs does go up with the game difficulty. Often either of these ZEDs requires its own unique disposal approach, certain perks and weapons might or might not be effective agains these ZEDs. 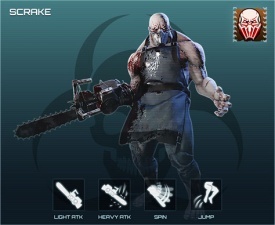 As it Quarter Pound, Scrake or Fleshpound are the heavy infantry of the ZED team. 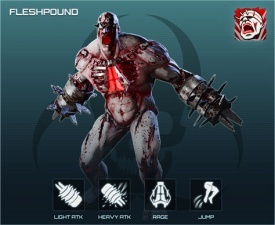 These ZEDs are extremely tough as their health goes up not only with game difficulty but as well with the additional players, have wide variety of damage and incapacitation resistances. Targeting big ZEDs should always be prioritized by survivors, however additional knowledge of each of these, gameplay mechanics, weapon and perk effectiveness required for successful elimination. On a rare occasion on higher difficulties the Elite variants of the regular enemies (also refered as King ZEDs) might spawn instead. 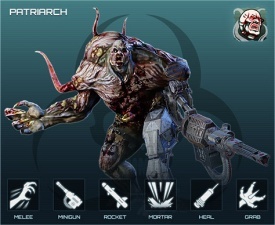 Each of these serves its puprose: Rioters are capable of rally-boosting nearby ZEDs making them sprint and do more damage, Elite Crawlers explode into the toxic cloud when killed with non-headshots and Gorefiends do rather significant damage with their blade attacks and are capable of soaking huge amount of the damage due to their health. With the exception to certain Weekly Outbreaks and Versus Mode, at the last wave of each game and for every 5th wave in Endless Mode players have to face one of the game's bosses as an ultimate challenge. Each boss has its own strengths and weaknesses, an unique approach to maintaining its health, minions to spawn and elimination tactics players should be considering. 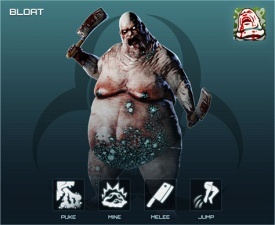 In Killing Floor 2's Versus Mode players posses unique variants of regular ZEDs. While controlling them players are free to execute all the moves and attacks their regular counterparts have as well as some gamemode-specific attacks. 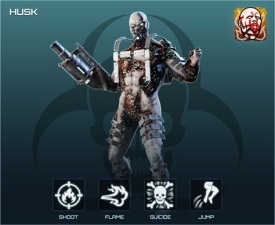 Two of the basic stats of these ZEDs - health and damage are the subject of change via the Game Conductor mechanic. This page was last edited on 28 September 2018, at 16:24.